🔴 Poll: What are your favorite James Spader films? Select up to FIVE. You may add any films I missed. Many of the options above came up in one or more episodes (freezing a body, faking a death, etc). Did I miss anything obvious (or obscure)? I think I can add options if I get them soon, like today (4/16/2016). Those who want to indicate why they do not “ship Red and Liz” have the option to indicate the reason why (e.g. “*NA – Red is Liz’s father”). Or you can just choose another relationship, or “None” or “Other”. If you choose “Other,” feel free to add a comment. I post announcements of each poll on Twitter, IMDb, the NBC Blacklist Facebook page, etc. Most responses likely come, however, from people accessing my site through search engines. I think this because the percentage of responses for polls on my site is similar to hits in general in that both tend to have a 60/40% US vs International breakdown. This poll got a huge international response, with the United States accounting for only 30% of the total. (Overall, visits to my site are about 55% by Americans.) For all countries (including the US), Red ✛ Liz came in first with 72%, then Tom ✛ Liz with 7%. For the United States alone, Red ✛ Liz accounted for about 63.5% and Tom ✛ Liz was about 9%. The pattern of “Lizzington” being slightly more favored in non-US countries is consistent with other polls I have done. Still, Red ✛ Liz are always most favored by a wide margin. One of the highest-responding countries was Russia (64 votes) with 89% choosing Red ✛ Liz, just 4.7% Tom ✛ Liz. In many Middle East and Asian countries, it is not uncommon for Samar ✛ Aram to place second above Tom ✛ Liz. This poll had the largest and fastest response of any of the polls I have done so far. This may be due to greater enthusiasm for the topic or just because more people have become familiar with my site. The options below all assume that if the show includes a pregnant Liz, Tom is the father. A couple weeks ago, Megan was reported to be 3 months pregnant. This would mean she is due in May or June. It is unclear whether Megan wants to return or how long she wants to work. Also, see what Jon Bokenkamp said about this to Entertainment Weekly below. Over the time the poll was open, there was a gradual increase in the percentage of votes going to Ressler and Tom. This is perhaps because of what pollsters call the “enthusiasm factor.” The Lizzington folks tended to vote early. Later votes were mostly cast by those who visited the blog for other reasons, but then voted as well. That isn’t to say that there aren’t enthusiastic Ressler and Tom fans, just that they were overwhelmed early on by the Red fans. After a couple of months, it might be fun to run this poll again. I did some advertising of the poll: on Twitter, IMDb and the main Blacklist blog on Facebook, but I tried to keep this to a minimum. Still, more than 90% of the traffic to my blog comes from people using search engines like Google. So who is voting? I wish I knew the ages and gender of those who voted. Most of the people who follow the Twitter account associated with my blog lately appear to be women under 40. I have not attempted to tally this however. The bios are of course public on Twitter. About 40-45% of the traffic is international, and people from about 50 countries voted, most from Europe and especially the British Isles, Canada (and Australia). The US voters on the previous (“Who’s your Daddy?“) poll were more likely to believe Red is Lizzie’s father (50.2%) compared to the international group (47.4%). Note: the international group includes the US). 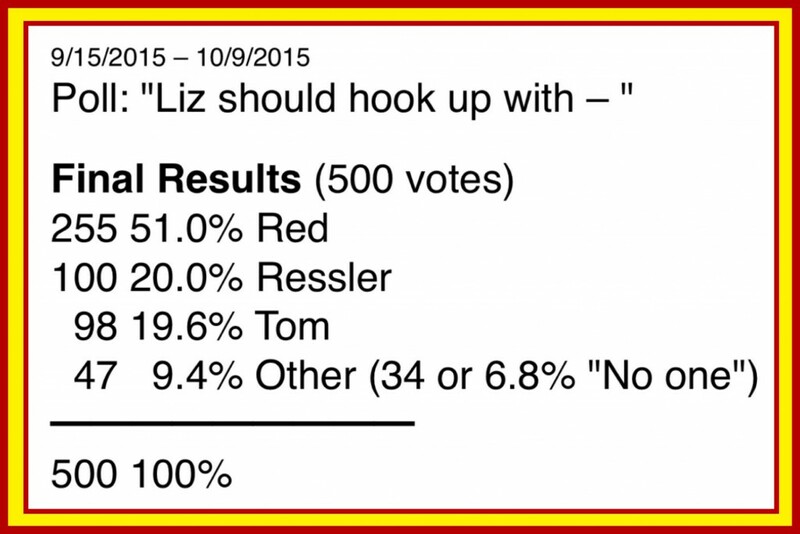 For the “Hook-up” poll, those in the US were more likely to want Red and Liz together than the international group (52.6% vs 48.8%). Ressler was much more popular in the international group than in the US alone (19.8% vs 8.9%). In the US alone, Tom had a 26% fan base, half of Red’s. The main reason this poll is unscientific (and there are several others) is that most viewers of The Blacklist do not look the show up online. 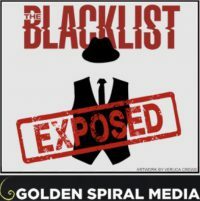 Anyone who does this is already an “engaged” Blacklist fan. They also have access to a computer and know how to do it. Still, it is what it is – and to me the findings were surprising and interesting. 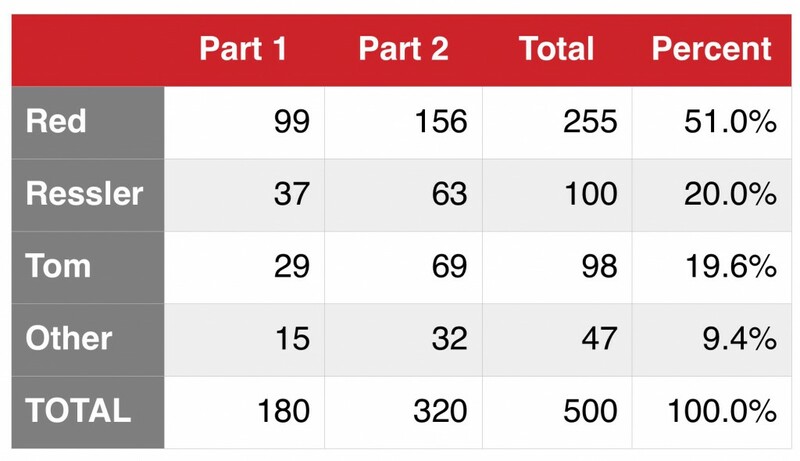 The two sets of results need to be added and averaged.